Stuart contacted Cecily as he wanted a gift to give his wife for their first wedding anniversary. 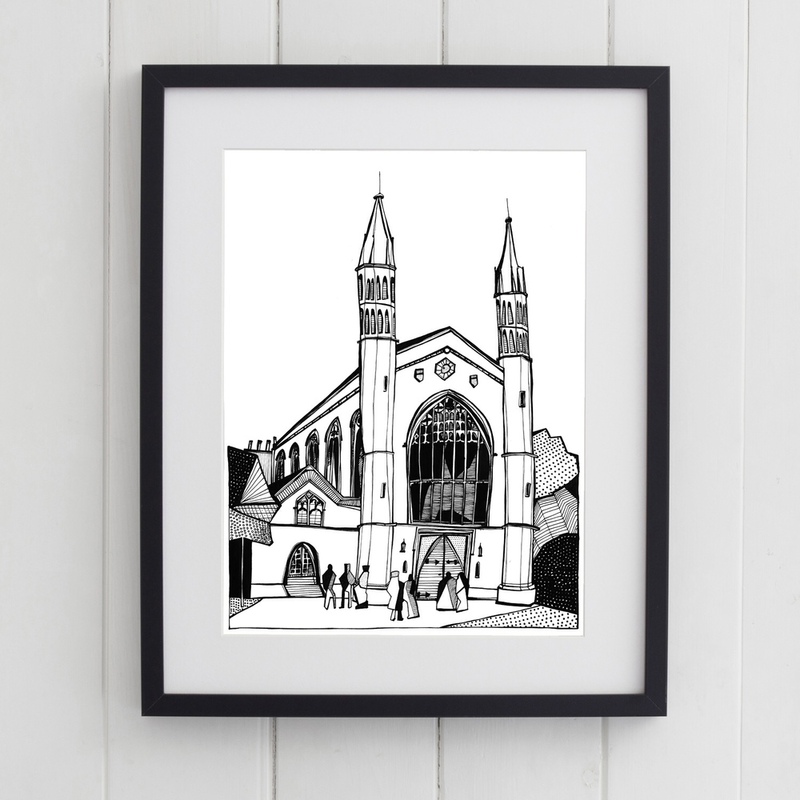 They had bought one of her prints of St. Bride's Church a few years ago and he wondered if she could draw the church that they got married in; St Katherine's Danish Church, London. Stuart asked that some of the guests and members of the London Welsh RFC Male Voice Choir who they had singing at the ceremony were added to drawing, making the scene unique to their day at the church.